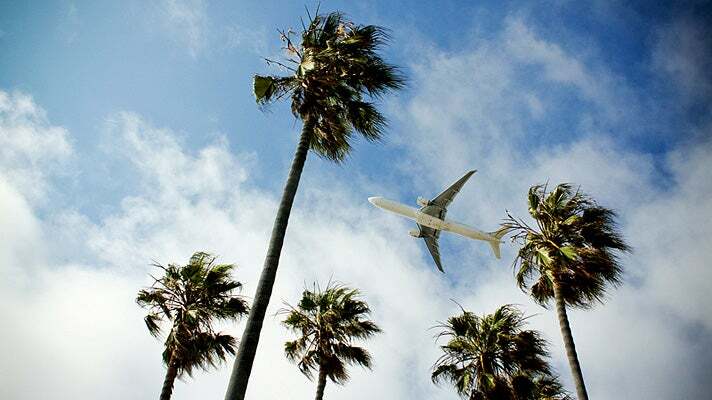 Here are some of our favorite places near Los Angeles International Airport (LAX), where you can relax and get acquainted with L.A. or take one last look at the city before you head home. Located in the LAX Imperial Terminal, the Flight Path Museum & Learning Center is an aviation museum and hands-on learning environment that's a great place to spend some time. See scale models of various aircraft, photos depicting aviation history and the development of LAX, Howard Hughes memorabilia and a model of his famous Spruce Goose. The Space Exploration Gallery spotlights the history and development of space flight. Serious aviation buffs might want to plan for some time in the William A. Schoneberger Research Library, with its collection of aviation and aerospace books, technical manuals and other interesting publications. The Flight Path Museum is free and is open Tuesday through Saturday, from 10 a.m. to 3 p.m. There’s even free parking! For a quintessential Los Angeles experience, grab a bite and play a round. 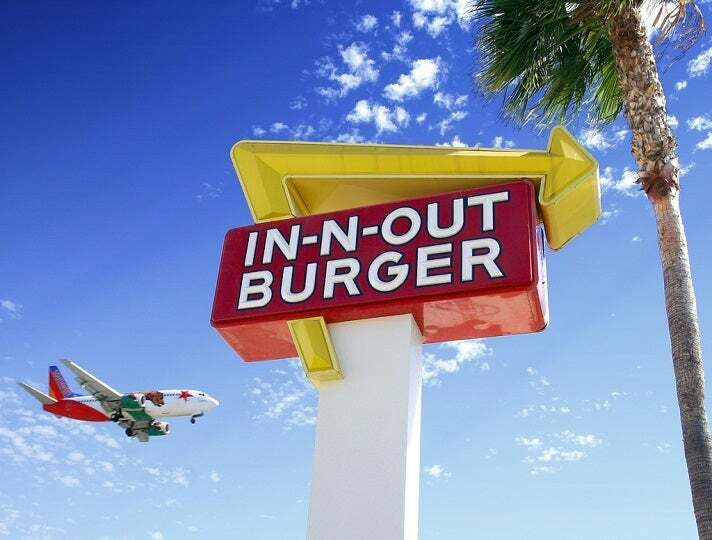 Right after you land or before you take off, it's an L.A. tradition to stop at the In-N-Out Burger next to the airport for favorites like a Double-Double Animal Style, chocolate shake and Animal Style french fries. Diners seated at the outside tables have an unparalleled view of the jets zooming overhead as they take off and land on the nearby runways. 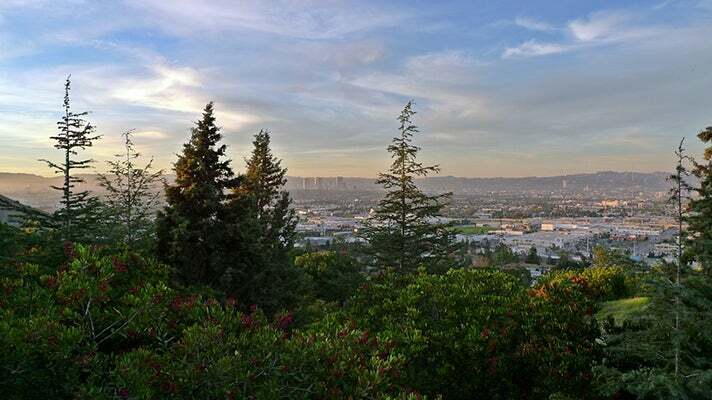 Westchester Golf Course is an 18-hole, par-64 golf course and driving range located next to LAX. This well-maintained course is lighted at night and is open daily until 10 p.m. 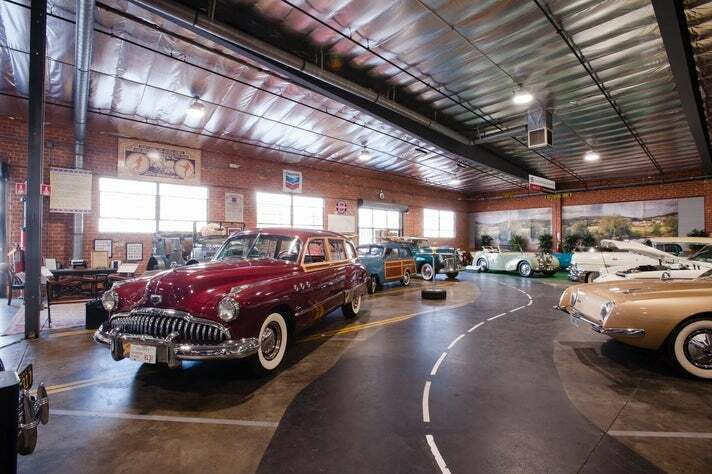 Automobiles reign supreme at the nearby Automobile Driving Museum. With a rotating collection of 130-plus classic, antique and vintage automobiles on display, museum visitors experience a wide range of vehicles. Visit on Sunday from 10 a.m. to 3:30 p.m. to enjoy the Sunday Rides program, when three different vintage cars are available to give guests age 10 and older a brief passenger experience on the road (suggested donation: $10 per person). The world famous, pedestrian-friendly Venice Boardwalk is the place to be if you’re into people watching, alternative cultures or simply want to experience a vibe that doesn’t exist anywhere else. 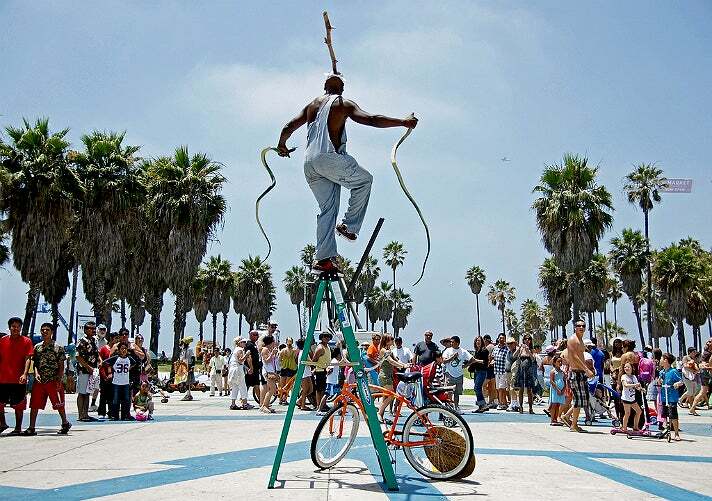 Palm readers, tarot card readers, sand sculptors, portrait artists and all manner of creative types expressing their individuality make Venice Beach a must-see. Abbot Kinney is one of L.A.’s best areas for unique shopping, featuring local artists and designers in a mix of modern chic and old-school vintage. 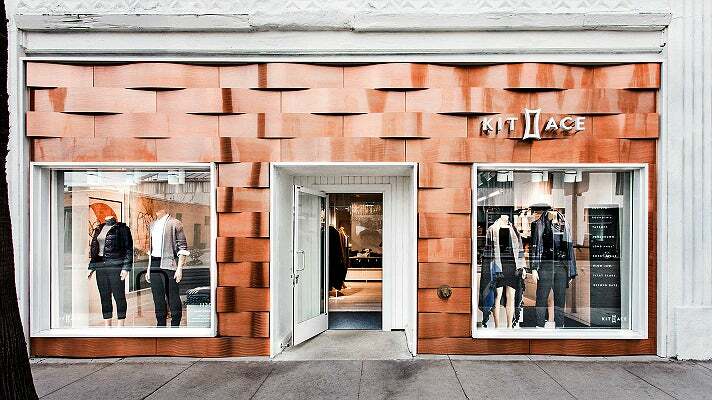 The shops here — many of which eat, sleep and breathe the Venice Beach spirit — feature top-notch artwork, furniture, jewelry and boutique clothing. 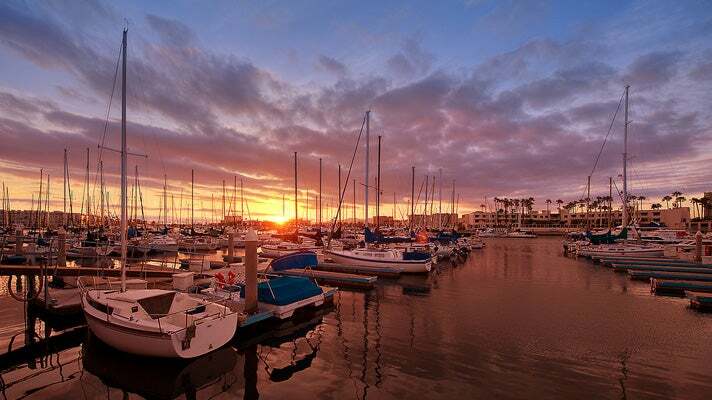 Located just minutes from LAX, Marina del Rey is home to one of the largest man-made, small boat harbors in the United States. Take a refreshing break from the bustling airport and walk around the marina and admire the boats. Burton W. Chace Park is another great place to relax and stroll around. Sometimes you want to get outside and enjoy some fresh air before or after a flight. One of L.A.’s hidden gems, the family-friendly Kenneth Hahn State Recreation Area is less than 10 miles from LAX and offers five miles of hiking trails, a lotus pond and plenty of scenic views. Open 6 a.m. to sunset, it’s the perfect place to grab some lunch and enjoy an outdoor picnic. 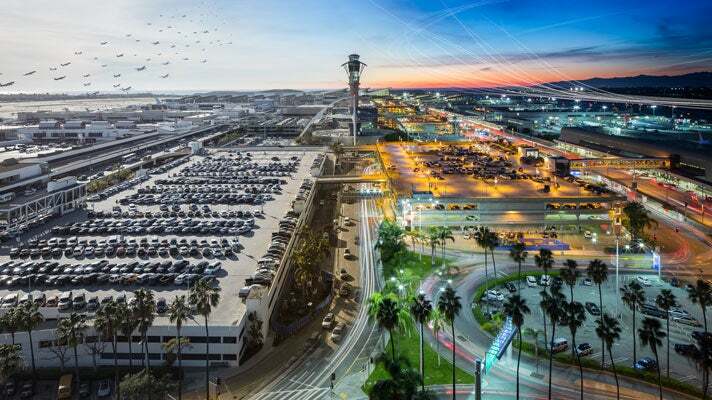 Dockweiler State Beach is beneath the takeoff path from LAX and is a seven-minute taxi ride from the passenger terminal area. The beach is free and features a three-mile-long shoreline with a picnic area, concession stand, restrooms and changing areas, and outdoor showers. 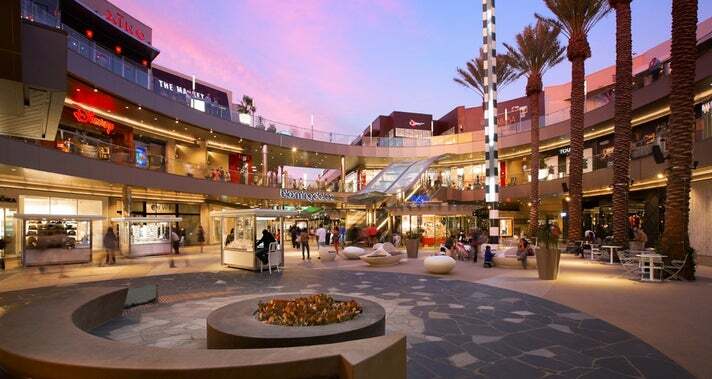 Located approximately 20 minutes from the airport, the recently renovated Santa Monica Place is a must for shopaholics, featuring high end shops and a dining deck in a sleek, spectacular setting. Nearby is the historic Santa Monica Pier, home to Pacific Park, the West Coast’s only amusement park located on a pier. Take in the California sunshine at this oceanside escape, which is only a 10-minute cab ride from LAX. 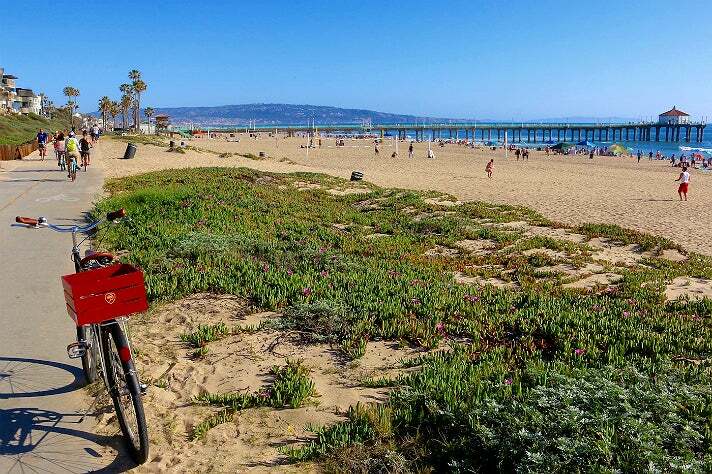 You can walk along the Manhattan Beach Pier to get a breathtaking view of the ocean, explore the free Roundhouse Aquarium, or pedal the Strand coastal path with a rented cruiser bike, which costs about $10 per hour (available from numerous vendors). The Ocean Express Trolley is a community-based transit system offering easy access to the restaurants, shops and shoreline of Manhattan Beach and El Segundo from the Gateway Hotels at LAX, where you purchase tickets. Catch the $5 roundtrip ride every hour from 9 a.m. to 8 p.m. Rated as effective Green Transit by the APCD, the trolley helps reduce road congestion and harmful emissions.